IPL 2018 has started and if you have been wondering how to stream this season of cricket on your smartphone, then worry not, we have a couple of suggestions for you. These apps are free and allow you to stream matches without any subscription. Note that these free streams may not offer the best video quality or un-delayed streams. 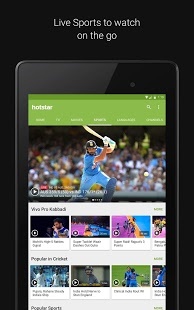 Hotstar is a free app from the Star network which offers free content to stream and download. 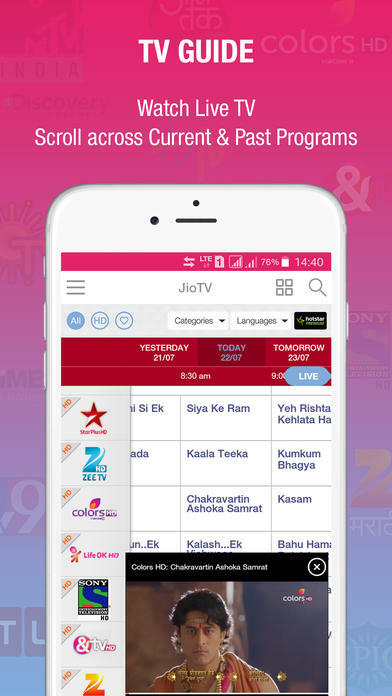 It also shows live cricket matches whenever you want and streams it wherever you are. Hotstar streams live cricket matches but if you are using the free subscription to the app, you will get 5 minutes delayed stream. To get the IPL 2018 live stream without any delay, you need to buy a premium subscription to the service. The Hotstar All Sports pack is available at a price of Rs 299 per year and the Full Premium Subscription is available for Rs 199 per month or Rs 999 per year. Buying this subscription will enable you to watch IPL 2018 content ad-free and in high quality. Reliance Jio is offering a new Rs 251 Jio Cricket Gold Pass which offers 102 GB of data with a validity of 51 days. This data is not only available to use for watching live IPL cricket matches, but you can also surf the internet, download anything or use any internet related apps. The data will be available to use as 2GB per day, post-2GB, the internet speed will go down to 64Kbps. These are the two apps which will help you watch the live IPL 2018 matches for free. To get a better experience including high-quality streaming and no-delay, you can use Hotstar’s premium subscription service which costs Rs. 299 for sports for an entire year.